pillows could be one of my favorite things. does that sentence sound grammatically off? whatever. 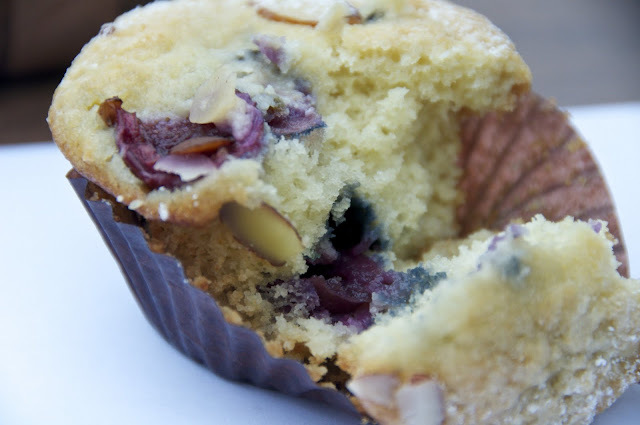 this muffin is like eating a pillow. go have a pillow fight. with these muffins. throw them at your friend’s face. because they’re soft and creamy like any pillow that i want to have. go away nay sayers and logical people. right now i just want to think about laying in a squishy ricotta bed. no one can argue that it wouldn’t be ridiculously comfortable. maybe ill just fill my comforter with these muffins for now and lay on it. sweet cherries + almondy almond + soft ricotta. oh my, these are a dream. this recipe is lovely base for all kinds of variation. orange ricotta and pecan anyone? raspberry hazelnut? oh the possibilities! 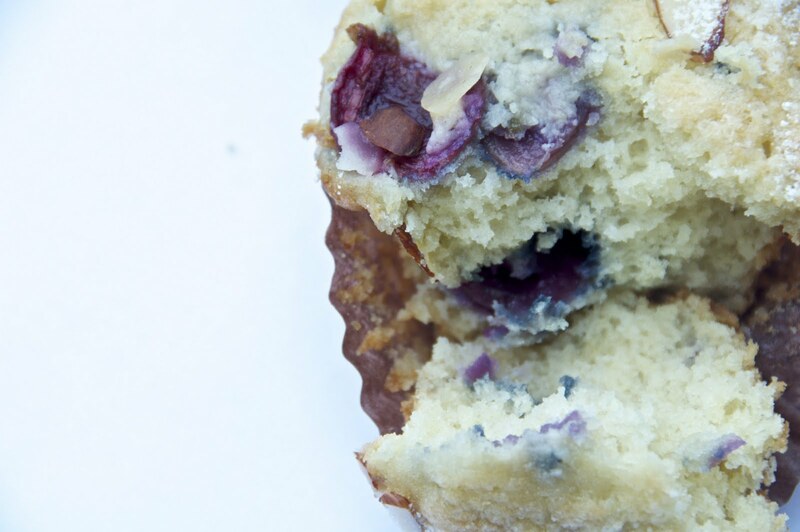 preheat your oven to 350. line your muffin tin with liners. mix together flour, salt, baking powder, and baking soda. cream together the butter and sugar in a mixer til fluffy. Add the egg, ricotta, and extracts. mix well. then mix the wet with the dry ingredients just until combined. fold in the cherries. 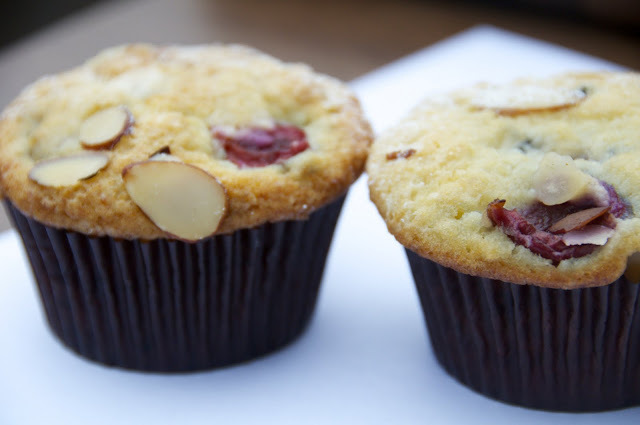 scoop batter into the muffin tins (yields about 10 muffins) and then sprinkle the tops with more sugar and the almonds. bake for 25ish minutes, test with a toothpick. anxiously await them to cool. Wow these look delicious - maybe you can convince you bff to make some!